Background: Haemophilus influenza type b (Hib) causes significant morbidity and mortality among young children in India. Hib vaccines are safe and efficacious; nevertheless, their introduction to India's national immunization programme has been hindered by resistance from certain sectors of academia and civil society. We aimed to ascertain the attitudes and perceptions of Indian paediatricians towards Hib disease and vaccination. Materials and Methods: A cross-sectional survey of knowledge, attitude and practices on Hib and vaccines was undertaken among 1000 Indian paediatricians who attended 49 th National Conference of Indian Academy of Pediatrics in 2012 through use of a 21-point questionnaire. Results: 927 (93%) paediatricians completed the survey. 643 (69%) responded that Hib is a common disease in India. 788 (85%) reported prescribing Hib vaccine to their patients and 453 (49%) had done so for the past 5-15 years. Hib vaccine was used in combination with other vaccines by 814 (88%) of the participants. 764 (82%) respondents thought Hib vaccine effective while 750 (81%) thought it to be safe. Fever, pain and redness were the most frequently reported post vaccination side-effects. 445 (48%) paediatricians ranked universal use of Hib vaccine in the national immunization programme as the most important strategy to prevent and control Hib disease in India. Conclusion: The excellent profile as reported by a large number of paediatricians from throughout India further strengthens evidence to support expanded use of currently available Hib vaccines. These findings should encourage the Government of India to initiate mass use of this vaccine nationwide. The Indian Academy of Pediatrics recommended introduction of Hib vaccine into the UIP almost a decade ago. To counteract the campaign against the introduction of Hib vaccine, the Academy's Committee on Immunization decided to conduct a knowledge, attitude and practices survey among Indian paediatricians. The main objectives of this survey were to: (i) understand paediatricians' viewpoints (knowledge, attitude and practices) on Hib disease and Hib vaccination in India; (ii) assess paediatricians' attitudes towards the safety and efficacy of the vaccine; and (iii) quantify paediatricians' vaccine use in practice. A cross-sectional survey, assessing background characteristics, of knowledge, attitude and practices regarding Hib disease and vaccination was undertaken among Indian paediatricians. This survey did not involve any issue that would have necessitated any ethical clearance. The nature of survey was explained to participants and written consent was obtained. Participants' information was kept confidential and anonymous during every stage of this study. A preliminary version of survey questionnaire was piloted during the 14 th National Conference of Pediatric Infectious Diseases in November 2011 among a small group of paediatricians. Based on their feedback, the questionnaire was further refined. The survey was administered to paediatricians (with no distinction between public and private sectors) who attended 49 th National Conference of Indian Academy of Pediatrics (PEDICON) in 2012. We assumed a total of 40 000 registered paediatricians nationwide in public and private facilities, with an exposure to all forms of meningitis of 7%, worst acceptable result 5%, and 95% confidence interval (CI). The calculated sample size was 616; however, to allow for participant drop-out and nonresponse, we asked 1000 paediatricians to participate. A list of paediatrician PEDICON 2012 registrants/attendees was serially numbered and a proportionate sample taken by random sampling. The 21-point questionnaire was distributed to the randomly selected participants on the first day of PEDICON 2012 and was collected at the end of same day. The survey tool assessed paediatricians' knowledge and beliefs about Hib disease and vaccination. The following questions were included. "How common do you think is Hib disease in India?" "Do you think Hib infections form an emerging infectious disease?" "Do you think Hib is a significant cause of pneumonia in children?" "What investigation do you perform to establish an aetiological diagnosis of acute bacterial meningitis (ABM)?" "What percentage of culture/latex particle agglutination (LPA) positive ABM is caused by Hib bacteria?" "What investigations are performed to confirm clinical diagnosis of bacterial pneumonia?" "What percentage of positive blood culture performed by you may have Hib bacteria?" Questions were asked about Hib vaccine efficacy and safety. "How protective do you think Hib vaccine is against Hib disease? How safe do you think this vaccine is?" Participants were also asked to share their understanding of parents' knowledge about Hib disease/vaccine and future strategies to prevent and control Hib disease in India. Questions assessing Hib vaccine use in daily practice included the following. "How many cases of ABM/pneumonia you treat in your facility in a year?" "How frequently do you isolate Hib bacteria from blood cultures you perform?" "Are you prescribing Hib vaccine to your paediatric patients?" Paediatricians were specifically asked to define "criteria to prescribe and not to prescribe Hib vaccine". Questions on safety concerns were also included. "How frequently you observe side-effects with Hib vaccine?" "Common side-effects of Hib and or Hib-containing vaccine encountered in your practice?" Data were analysed by use of EpiInfo version 3.5.1. Descriptive analyses were done with univariate analysis to present results in mean and percentages. χ²-test was used to assess any significant differences in knowledge, attitude and practices among the paediatricians in the five geographical zones (north, south, east, central, west) of India. For all statistical tests, differences were considered significant at P < 0.05. 927 (92.7%) participants completed the survey. The age of respondents ranged from 20 years (a medical student) to 83 years (mean 46.33 years; SD = 12.0008); most (80%) were male. [Table 1] summarizes characteristics of the respondents. 643 (70%) of paediatricians described Hib as a common disease in India (P = 0.458). There were no geographical differences among participants regarding knowledge about Hib disease and vaccination. One-third respondents from North and a quarter from South and East India described Hib as an emerging infectious disease (P = 0.409). Nearly two-thirds of respondents believed Hib bacteria to be a significant cause of both pneumonia and ABM in children. Almost a quarter of the respondents from North, South and East India selected Hib bacteria as a cause of pneumonia in children (P = 0.99). One-third of respondents in north and a quarter each in south and east India thought Hib bacteria was a significant cause of ABM in children (P = 0.570). More than half of those surveyed conducted cerebrospinal fluid (CSF) culture followed by LPA test for suspected ABM, while a quarter did both CSF culture and LPA to diagnose ABM. 260 (28%) of all respondents reported up to 5-25% of culture/LPA positive cases of ABMs in their practice were caused by Hib bacteria. 764 (82%) of respondents thought Hib vaccine is effective; 22 (2%) described the vaccine as not protective; and138 (15%) were unsure or do not know. Similarly, 750 (81%) of the paediatricians thought Hib vaccine to be safe while 29 (3%) considered it unsafe; the remaining 47 (5%) responded that the vaccine was neither safe nor unsafe in their opinion and 102 (11%) were not sure or do not know. Respondents felt there was a general lack of awareness about Hib disease and vaccines among their patients' parents. Only 121 (13%) of respondents answered that more than half of the parents visiting their facilities were aware of the disease and vaccine. When asked about universal use of Hib vaccine in the national immunization programme, 445 (48%) of paediatricians ranked this as the most important strategy to prevent and control Hib disease in India [Figure 1]. 352 (38%) of respondents noted that they treat up to 10 cases of pneumonia per month while 111 (12%) reported they treat more than 50 cases per month. Tests (other than chest X-ray) most commonly done were complete blood count 333 (36%), C-reactive protein 269 (29%) and blood culture 213 (23%). Only 102 (11%) of respondents order these tests simultaneously in a case of suspected bacterial pneumonia and only 9 (1%) would perform lung aspiration. Nearly two-thirds (602) of respondents reported they have treated at least 5-10 cases of ABM in a year. Approximately one-third (282) of the paediatricians stated that they had isolated Hib bacteria from blood cultures sometimes, a similar proportion said they isolated it very rarely, while 43 (5%) noted the bacteria were frequently isolated. 142 (15%) of respondents had never isolated Hib bacteria from blood cultures while 142 (15%) were unsure or did not know. More than half (515) of the respondents thought that up to 10% of positive blood cultures might contain Hib bacteria. These responses did not differ significantly among participants from the five geographical zones (P = 0.336). 788 (85%) of the paediatricians reported that they prescribe Hib vaccine to their patients and a significant geographical difference in prescription patterns was observed (P = 0.021). Usage of Hib vaccine among paediatricians in west and central India was lower than in other zones. Respondents from the west and central zones also comprised lower proportions of respondents (98 [11%] and 66 [7%], respectively) and appeared satisfied with the performance and safety of the vaccine (769 [83%] and 750 [81%], respectively). Efficacy and safety had almost negligible influence on their decision not to use this vaccine. 453 (49%) of the paediatricians had used Hib vaccine for 5-15 years and180 (19%) had used it for more than 15 years. 219 (24%) had administered Hib vaccine for less than 5 years and very few (75 [8%]) were unsure or do not know. Nearly three-quarters (576) of respondents reported that they prescribe Hib vaccine to all patients while one-third (254) stated they prescribe it selectively to those who can afford the cost. 814 (88%) reported that they were using Hib vaccine in combination with other vaccines while nearly a quarter used stand-alone preparations or whichever is available and affordable. Reported use of Hib vacccine alone or in combination with diphtheria-pertussis-tetanus vaccines differed significantly among the five geographical zones, with stand-alone vaccine being used extensively in west and central India (P < 0.05). Nearly two-thirds (574) of respondents prescribed 5-50 doses of Hib vaccine in a month while only 134 (15%) administered more than 50 doses per month. Only 82 (9%) paediatricians noted fever and 78 (8%) reported pain/redness at the injection as the most frequent postvaccination side-effect. 389 (42%) of the respondents reported never encountering adverse effects in patients who received Hib vaccination. For 232 (25%) of respondents, high cost was the main reason for not prescribing Hib vaccine; 185 (20%) cited lack of evidence as the reason they did not administer the vaccine. To our knowledge, this is the first large-scale survey in India on paediatricians' knowledge, attitude and practices related to Hib disease and vaccine use. The participants of this survey are major stakeholders and service providers for a vast majority of children of this country. Because of the location of the conference venue, most of the participants and respondents were from north India and there were fewer participants from south and east India. Since most of the respondents were working in the private sector and were members of the Indian Academy of Pediatrics, considerable bias in favour of vaccination was unavoidable. These results may not therefore represent the opinion of all paediatricians in India. The findings of the survey show that most respondents believe Hib is a common infectious disease and is responsible for significant proportion of pneumonia and bacterial meningitis cases in children. The findings also confirm that pneumonia has a larger disease burden than ABM; respondents treat 24-60 times more cases of pneumonia than ABM in a year. Respondents' beliefs about Hib may reflect the fact that these paediatricians are based in urban areas and may have better access to current evidence. Nevertheless, this strong perception of the respondents was not reflected in their clinical practice, since very few (11%) were attempting to make an aetiological diagnosis of pneumonia. Similarly, only 50% of the respondents were performing CSF cultures and only 7% found Hib bacteria responsible for >50% instances of culture/LPA positive ABMs. Most respondents believed Hib bacteria were isolated only "rarely" or "sometimes" from blood cultures. In practice, more than 50% had isolated Hib bacteria from blood cultures in less than 10% of instances. Isolation of Hib bacteria from clinical samples therefore seems to be a rare event, yet most of the respondents believed Hib to be a fairly common childhood disease. This "disconnect" between respondents' perceptions and practice may be attributed partly to the difficulty faced by the respondents in isolating Hib bacteria from clinical specimens and largely to widespread teaching of Hib as a common pathogen responsible for paediatric pneumonia and meningitis. It is widely thought that isolation of Hib bacteria is difficult and requires special laboratory media. Further research is needed to ascertain this belief. Respondents cited universal use of Hib vaccine in the national immunization programme as the most important measure to control and prevent Hib diseases in India; utility of proper case management and reduction of indoor air pollution were less-favoured preventive measures. A few studies conducted in India have also confirmed universal Hib vaccine use to be a cost-effective strategy. ,,, It is of note that there is a perceived lack of awareness about Hib disease and vaccine among paediatric patients' parents, which may reflect a lack of sensitization of the general population. The survey showed that paediatricians commonly encounter pneumonia and ABM in their clinical practice and have also isolated Hib bacteria in blood and CSF cultures. The excellent profile reported by this large number of paediatricians practising throughout India further strengthens evidence for the safety of currently available Hib vaccines. These findings should encourage the Government of India to initiate mass use of this vaccine nationwide. 1. John TJ, Cherian T, Raghupathy P. Haemophilus influenzae disease in children in India: A hospital perspective. Pediatr Infect Dis J 1998;17:S169-71. 2. Steinhoff MC. Invasive Haemophilus influenza disease in India: A preliminary report of prospective multihospital surveillance. IBIS (Invasive Bacterial Infections Surveillance) Group. Pediatr Infect Dis J 1998;17:S172-5. 3. Invasive Bacterial Infections Surveillance (IBIS) Group of the International Clinical Epidemilogy Network. Are Haemophilus influenzae infections a significant problem in India? A prospective study and review. Clin Infect Dis 2002;34:949-57. 4. Kabra SK, Kumar P, Verma IC, Mukherjee D, Chowdhary BH, Sengupta S, et al. Bacterial meningitis in India: An IJP survey. Indian J Pediatr 1991;58:505-11. 5. World Health Organization. WHO position paper on Haemophilus inﬂuenzae type b conjugate vaccines. Wkly Epidemiol Rec 2006;81:445-52. Available from: http://www.who.int/wer/2006/wer8147.pdf. [Last accessed on 2012 Sept 29]. 6. World Health Organization. Immunization surveillance, assessment and monitoring: Data, statistics and graphics by subject. Geneva: WHO, 2012 - Available from: http://www.who.int/immunization_monitoring/data/data_subject/en/index.html. [Last accessed on 2013 July 3]. 7. Subcommittee on Introduction of HiB Vaccine in Universal Immunization Program, National Technical Advisory Group on Immunization, India. NTAGI subcommittee recommendations on Haemophilus influenzae type B (HiB) vaccine introduction in India. Indian Pediatr 2009;46:945-54. 8. Saxena KB and others in the High Court of Delhi. Public interest litigation. Writ Petition (Civil) No. 13698 of 2009. New Delhi: Delhi High Court, 2009. Available from: http://www.theoneclickgroup.co.uk/documents/vaccines/Vaccine%20Petition,%20India.pdf. [Last accessed 2012 December 14]. 9. Lone Z, Puliyel JM. Introducing pentavalent vaccine in the EPI in India: A counsel for caution. Indian J Med Res 2010;132:1-3. 10. Dutta P, Puliyel JM. NTAGI recommendations overlooked crucial ICMR data. Indian Pediatr 2010;47:542-3. 12. Gupta SK, Sosler S, Lahariya C. Introduction of Haemophilus influenzae type b (hib) as pentavalent (dpt-hepb-hib) vaccine in two states of India. 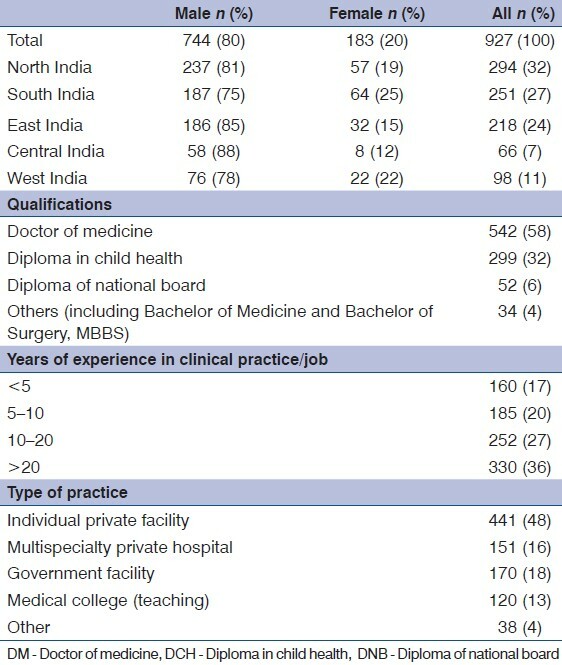 Indian Pediatr 2012;49:707-9. 13. Vashishtha VM. Introduction of Hib containing pentavalent vaccine in national immunization program of India: The concerns and the reality! Indian Pediatr 2009;46:781-2. 14. Gellert GA, Wenger JD, Brilla A. Haemophilus influenzatype b disease in Latvia. Lancet 1994;344:959. 15. Levine OS, Wenger JD. Defining the burden of Hib disease in India. Indian Pediatr 2002;39:5-11. 16. Gargano LM, Thacker N, Choudhury P, Weiss PS, Pazol K, Bahl S, et al. Predictors of administration and attitudes about pneumococcal, Haemophilus influenzae type b and rotavirus vaccines among pediatricians in India: A national survey. Vaccine 2012;30:3541-5. 17. Acharya D, Bhave S, Joshi V, Bavdekar A, Pandit A. Haemophilus influenzae type b vaccine in India: Need and timing, immunogenecity and tolerance. Indian Pediatr 1997;34:9-15. 18. Cherian T, Thomas N, Raghupathy P, Durot I, Dutta A. Safety and immunogenicity of Haemophilus influenzae type B vaccine given in combination with DTwP at 6, 10 and 14 weeks of age. Indian Pediatr 2002;39:427-36. 19. Sharma HJ, Yadav S, Lalwani SK, Kapre SV, Jadhav SS, Chakravarty A, et al. Immunogenicity and safety of an indigenously manufactured reconstituted pentavalent (DTwP-HBV+Hib) vaccine in comparison with a foreign competitor following primary and booster immunization in Indian children. Hum Vaccin 2011;7:451-7. 20. Verma R, Khanna P, Chawla S, Bairwa M, Prinja S, Rajput M. Haemophilus influenzae type b (Hib) vaccine: An effective control strategy in India. Hum Vaccin 2011;7:1158-60. 21. Gupta M, Prinja S, Kumar R, Kaur M. Cost-effectiveness of Haemophilus influenzae type b (Hib) vaccine introduction in the universal immunization schedule in Haryana State, India. Health Policy Plan 2013;28:51-61.